One of UMCH’s foster parents, Tracy Moore, shared with us the power of prayer and how she has seen it make a difference in the lives of the children they foster. Tracy and her husband, a church minister in Covington, have four sons. They have been a priceless addition to our UMCH foster family, not only opening their home to children, but also volunteering at Foster Care events and recruiting new foster families. “Thank you” seems very inadequate to express how we value the Moore family at UMCH. We hope you will be touched by Tracy’s story. 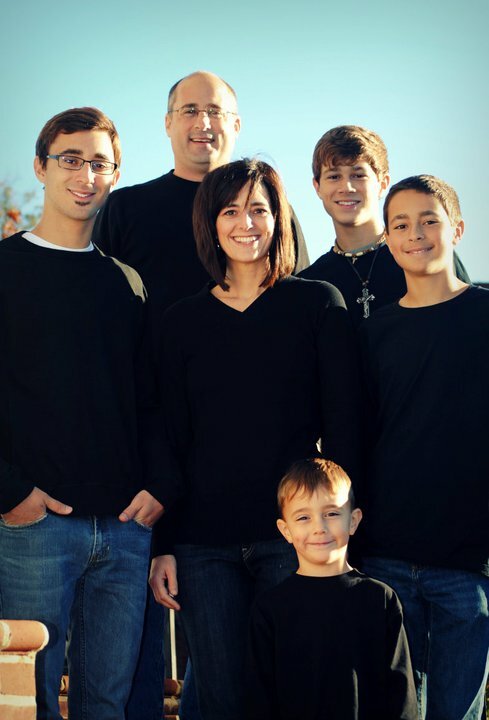 In the fall of 2011, our family was approved as a foster family with UMCH. All of us were excited and somewhat anxious. We wondered what our first placement would be like and if it would be difficult. As we waited, I felt the Lord speaking to my heart in regards to our role as a new foster family. I was somewhat confident with our ability to nurture, love and advocate for a child. But God showed me that we could take part in a ministry to these children that was something beyond what I had originally planned. This ministry would be something that would last long after our foster children would leave our home and would be something that would actually move both heaven and earth for the sake of God’s children. This ministry is intercessory prayer. About a year before beginning the process to foster, I had completed a Bible study on prayer. Prayer is the discipline that brings us into the very presence of God. While God is sovereign and His will is always accomplished on earth, He uses Christians to help bring about His will. We don’t offer suggestions to Him or give Him new ideas. We simply pray according to His will. As my husband and I had heard stories of the hardships and pain of many foster children — abuse, neglect, poverty — we realized God’s grace and truth would be the most beneficial healing salve for these children. What better way to provide it than by praying for these children’s needs! Perhaps we would be the only contact these children would ever have with the church and with their Creator. And perhaps God had brought them specifically to our home so that they could be prayed for. When we received our first placement, we immediately began praying for the children’s physical bodies, as they had physical needs that had previously been unmet. We also began praying for the emotional scars that the enemy and sin had inflicted. We prayed they would feel loved, safe and secure. We also began praying that they would one day break the cycle of sin and poverty they found themselves in and that they would be reconciled to Christ and be warriors for His kingdom. And as we met their biological parents and learned their stories of heartache and sadness, we were touched by their need of God’s grace and power too. So our family also began to pray for their parents’ needs. What was truly amazing is that we began to see these prayers answered in our home! We truly began to see these children receive the healing we’d asked God for, both physically and emotionally. Now, five months later, the children from our first placement have left. We miss them. They left an indelible mark on our hearts, and we are sometimes tempted to worry about them. But, thankfully, we know that because of prayer we can be confident that God is still accomplishing His will for their lives because the effects of prayer continue. Although our eyes are not on those first children, they continue to be a part of our hearts and we continue to intercede for them and for their families. Since then, God has blessed us with a new child to foster, and we have the blessing of praying for him too. And, once again, we’ve had the privilege of watching God’s power change the circumstances in the life of this child. It’s truly an honor to be able to partner with God as He works His perfect will on earth.